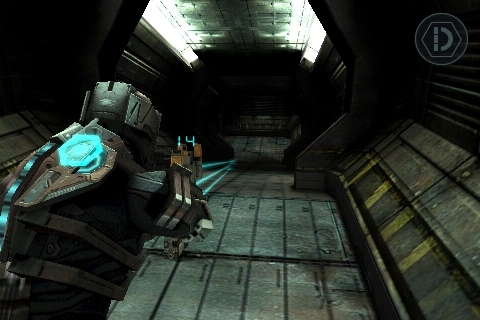 Dead Space has become hugely popular in the App Store, and with good reason. The original on the consoles was called one of the scariest survival-horror games to come along, and that is saying something with Resident Evil and Silent Hill in the mix. This iOS port delivers a fairly faithful experience that one would see on a console with the benefit of being able to take it on the go. 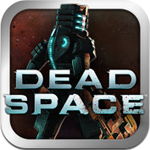 Dead Space for iOS is an original chapter in the story with a new tale and even some new weapons to try out. It is visually stunning, thoroughly gripping, and even makes you jump every now and then. The plot is shrouded in mystery and all you are told is that you are a pawn in a conflict that is unfolding between the church and the government. The graphics in the game look fantastic. 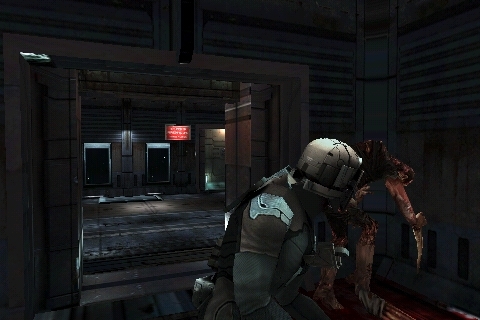 For example, there are nice clean halls that have blood splattered on them as well as dark hallways with just enough light to help you see the enemy, but not enough light to keep you from jumping at things every now and then. 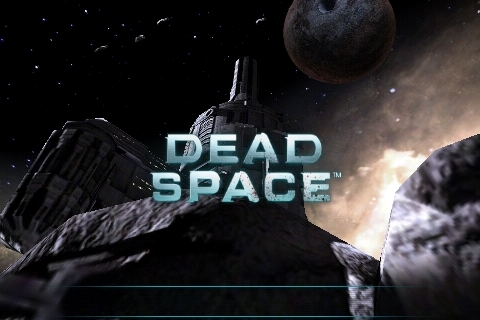 What really makes Dead Space great is the audio. When you start the game it tells you to wear head phones to make the game experience better and you should because it is well worth it. It really makes the ambiance creepier and I will admit I jumped a few times when the music squealed at something scary. One thing about the game that could be a problem while you are playing it is the controls. There is nothing on the screen that you can see like a virtual joystick or anything, but the controls do work. Despite this, they can be frustrating at times. They are about as good as they can be for what it is–movement “joystick” on the left, aiming on the right, tap to shoot, and so on–but sometimes I end up struggling with the controls at the same time I am fighting the monsters. Finally, the weapons are a blast to play around with in Dead Space. Mostly, the weapons you find are some kind of tool for the space ship you are on, but nothing beats taking a saw to the face of a space zombie. In the end, the game is well worth its price since it is something you would find as a download on a console game and it is only $6.99(iPhone)/$9.99(iPad), and you can take it with you. You will not be disappointed with the purchase and it can be a great distraction while you are sitting at the DMV or doctor’s office.